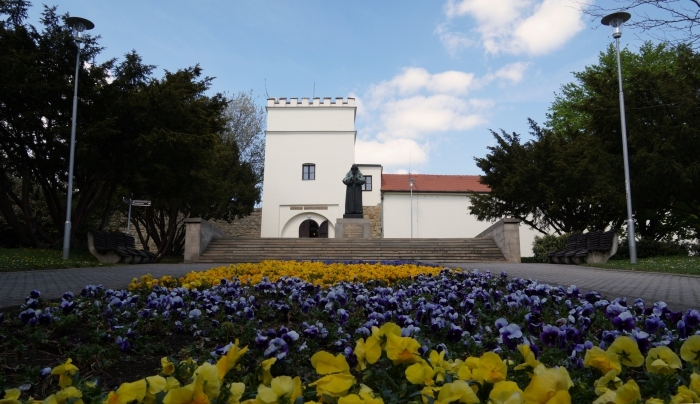 As a result of the Czech patriotic movement, the Jubilee Regional Museum was founded at Uherský Brod in 1898. 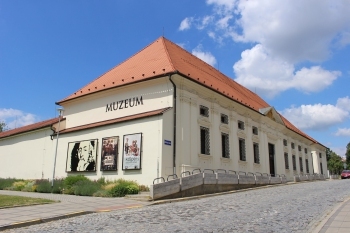 Between 1899 and 1951 its work was done by the Museum Society for South-Eastern Moravia (1899–1904) and the Museum Society for Moravian Slovakia (1904–1951), respectively. The activities of these societies were then pursued by the Museum commission until 1955 when the Museum became a professional institution administered by the government. In 1945 the Museum was officially renamed J. 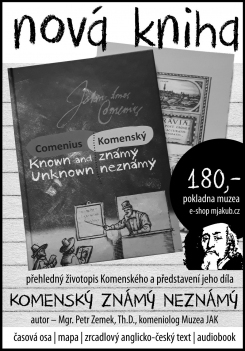 A. Comenius Museum, Uherský Brod. Its subsequent activities were chiefly influenced by the 1957 decree of the Ministry of Education and Culture, which established the Comeniological Documentation Centre here. 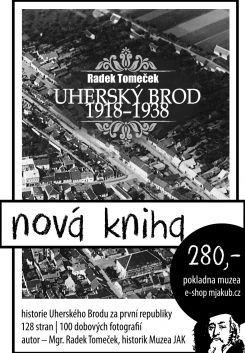 Since 1 January 1991 the Museum has had a new promoter – the Ministry of Culture of the Czech Republic. The mission of the Museum is to gather documents about the life and work of J. A. Comenius, his current reception and significance, and collect pieces of art of all kinds relating to his personality and work. The Museum is recognized nationwide and closely collaborates with its counterparts at home and abroad. Since the very beginning, J. A. Comenius Museum, Uherský Brod has also pursued its mission as a museum devoted to the history and ethnography of the Uherský Brod region. Maintaining and expanding the Museum’s collection, research work, exhibitions, methodological activities, lectures and cultural activities, activities of the documentation centre for educational reading (circulation service), issuing the Studia Comeniana et historica journal.